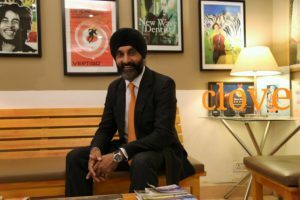 India is rapidly becoming a manufacturing hub for supplying dental equipment and material to less developed countries such as Pakistan, Africa, Sri Lanka and parts of the Middle East, says Amarinder Singh, CEO, Clove Dental, in an interview with Vivek Ratnakar of Elets News Network (ENN). Tell us about the next generation of technologies helping improve dental health in India. With over 5,000 dental laboratories, 297 dental institutes, the Indian dental market is vast and it is predicted that India will be the single largest country for dental products and materials. 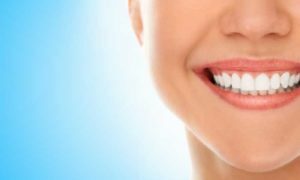 The dental market is expected to have a growth rate of 20 to 30 percent, with investment groups building multispecialty hospitals offering general dentistry and specialist treatments. The current dentist to population ratio in urban area is 1:9000 and in rural areas it is 1:200000. In the last decade, the dental services scenario in India has vastly improved due to Growing Healthcare Awareness, Better Economic Growth, Increased Healthcare Expenditure, Investor friendly Government Policies, Reduction on Customs Duty. Talking about technological advancements, a large portion of dental products are imported into the country. About 85% of Indias annual requirement is supplied by Germany, USA, Italy, Japan and China. Most of the imports are in the implants segment. Foreign companies are investing in the Indian dental equipment market by establishing their production units in India. India is rapidly becoming a manufacturing hub for supplying dental equipment and material to less developed countries such as Pakistan, Africa, Sri Lanka and parts of the Middle East. At Clove Dental we use the best and latest technology and methods to treat our patients like computer guided anaesthesia technology, advanced dental chairs, rotary tools, advanced X-Ray machines, Water filtration system with water from ROs, Sterilisation autoclaves, dental consumables like the tools and equipment of best quality. How dental health determines the overall health of an individual? Oral health is essential to general health and well-being at every stage of life. A healthy mouth enables not only nutrition of the physical body, but also enhances social interaction and promotes self-esteem and feelings of well-being. The mouth serves as a window to the rest of the body, providing signals of general health disorders. For example, mouth lesions may be the first signs of HIV infection, aphthous ulcers are occasionally a manifestation of Coeliac disease or Crohns disease, pale and bleeding gums can be a marker for blood disorders, bone loss in the lower jaw can be an early indicator of skeletal osteoporosis, and changes in tooth appearance can indicate bulimia or anorexia. The presence of many compounds (e.g., alcohol, nicotine, opiates, drugs, hormones, environmental toxins, antibodies) in the body can also be detected in the saliva. Oral conditions have an impact on overall health and disease. Bacteria from the mouth can cause infection in other parts of the body when the immune system has been compromised by disease or medical treatments (e.g., infective endocarditis). Systemic conditions and their treatment is also known to impact on oral health (e.g., reduced saliva flow, altered balance of oral microorganisms). Dental health is often ignored in India. What efforts are afoot to raise awareness about dental tests and diseases? Even though, India is progressing as never in oral health, a keen understanding of societal aspects can be helpful for both oral health planners and implementers especially in rural areas. A change in society outlook and attitude is slow, which requires persistent efforts and continuous education and active participation of society. In brief a careful planning based on education of oral health that not only involves oral health educator but society in its noble cause removing misconceptions and providing effective and cost-effective treatment near is a need of an hour in Indian society. Being in every locality will help them build credibility in their community and become respected members of the community. As an effort to spread awareness about oral healthcare, we organise dental programs under Community Dental Outreach Programs in RWA, Schools and Corporates. In these programs we organize talk shows and seminars in which our dental surgeons educate people on how oral health care is important at every stage of life. We possess two fully loaded Mobile Dental Vans for taking the treatment to the patient’s doorstep, if needed. These are also utilized towards holding health campaigns in the under privileged colonies thus taking care of our Corporate Social Responsibility. 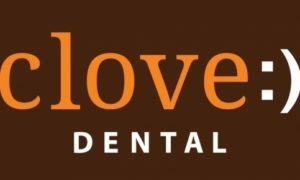 Clove Dental is working to be in every locality and has an expert team of dentists who bring skills and experience from all dental specialties as well as general dentistry. There’s no oral healthcare issue we cannot address. Collectively, our dental team brings over 2,000 years of experience to our clinics. Our dental team includes a talented pool of specialists such as periodontists, endodontists, prosthodontists, orthodontists, paediatric dentists etc. When general dentists refer patients to one of our specialists, patients are, in effect, getting two opinions and the attention of two highly qualified dental professionals without having to go outside our network. How future ready are our Dental Colleges in undertaking research-based activities to help improve the quality of care? Research in the dental field is progressing at mightier speed worldwide. Recent times have witnessed a tremendous improvement in dentistry due to the development of newer technologies, improved and sophisticated dental paraphernalia, dental materials, drugs used in dentistry, and urbane diagnostic materials for providing precision and speedy diagnosis of oral diseases. However, the situation of dental research in India is in the nascent stage even though we have nearly 309 dental colleges that are approved by the Dental Council of India, which are more than any number in the world. Moreover, opening of new dental colleges are on the rise in India. 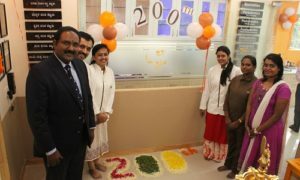 The total number of dental institutions in India is more than 300 and the number of students completing Bachelor of Dental Surgery (BDS) degree in 1 year is around 25, 000 and Master of Dental Surgery (MDS) degree are around 4000. Dental staff in various dental colleges in India is around 12000. This constitutes a vast number of oral health care professionals, which can be utilised for the upliftment of dental research in the Indian setting. However, unfortunately, the representation of India towards dental research on the international stage is negligible. There are some unexplored barriers for the growth of dental science and scientific publications in India. Unless these barriers are identified through a scientific survey across India, it will be difficult to rectify the system to create an ideal atmosphere for the growth of dental science and knowledge transfer from India to the world.